This week over 24,000 people joined us from all around the world to learn, connect, and celebrate customer-centric businesses at INBOUND 2018. From marketing to sales to customer success, there were great speakers, inbound experts, and opportunities to grow. 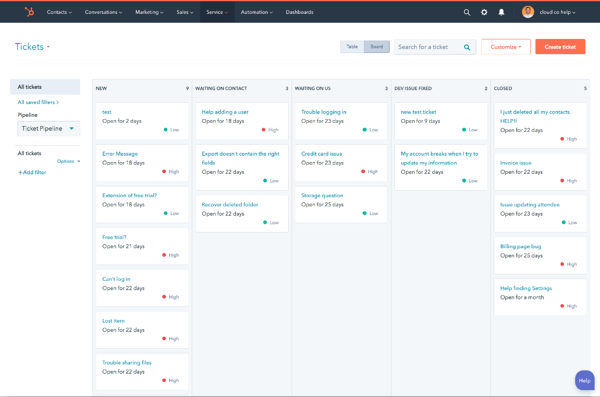 In addition to the hundreds of great sessions at INBOUND, this year also brought with it a long list of new products, features, and improvements across the HubSpot Growth Platform. Below, you can find a full rundown of everything that's new and coming soon in HubSpot. Whether you’re just getting started or scaling up, the HubSpot Growth Suite is everything you need to grow your business across marketing, sales, and customer service. The HubSpot Growth Suite is available now at Starter, Professional, and Enterprise tiers and includes Marketing Hub, Sales Hub, and Service Hub. When you purchase the HubSpot Growth Suite, you’ll also get a 25% discount off the total cost of the entire suite. Today, people gravitate more towards personal, authentic, and conversational videos. 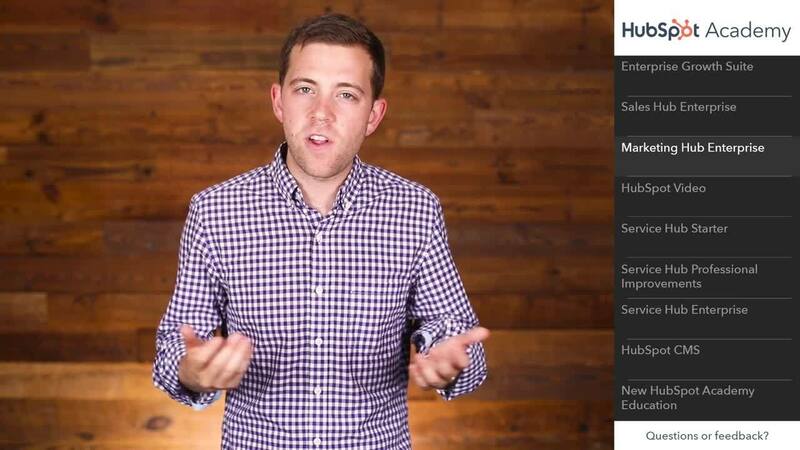 HubSpot Video elevates video across your entire business. With it, your teams can execute a video strategy that matches how people consume video today. Your sales team will build stronger relationships with more authentic one-on-one video emails, your service team will help people faster with personalized one-on-one video tickets, and your marketing team will finally have all the tools they need to create actionable, automated, ROI-positive video campaigns. HubSpot Video offers new capabilities included in Marketing Hub, Sales Hub, and Service Hub at the Professional and Enterprise tiers. 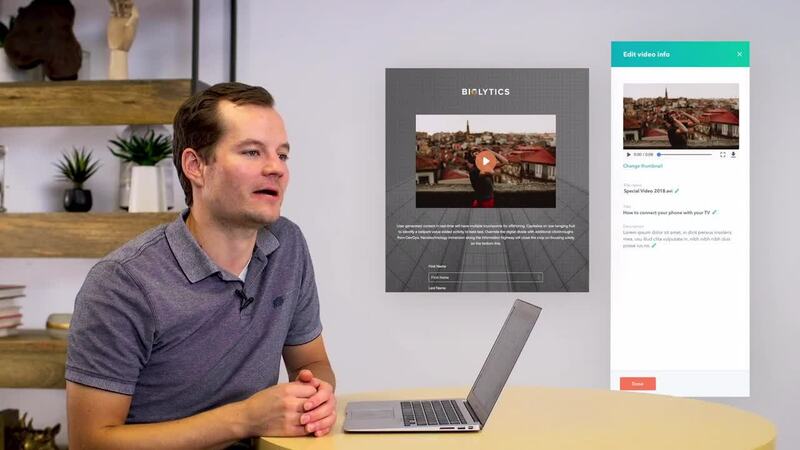 Marketing Hub: Marketers can now host and manage video files inside of HubSpot for free. Users can embed those videos into website pages and blog posts with just one click, and add in-video CTAs and forms to make videos interactive. New landing page and blog post video analytics help maximize the impact of video in your marketing campaigns. Sales Hub: Salespeople can build stronger relationships with prospects by creating, sharing, and tracking personalized videos right from HubSpot CRM. Service Hub: Service teams can help customers faster and more completely with personalized help videos created and shared directly from Service Hub. Agents can record their screen right from a ticket and send to customers, improving service and solving issues faster. Service teams can also host and embed videos in their knowledge base. You can learn more about using video here. 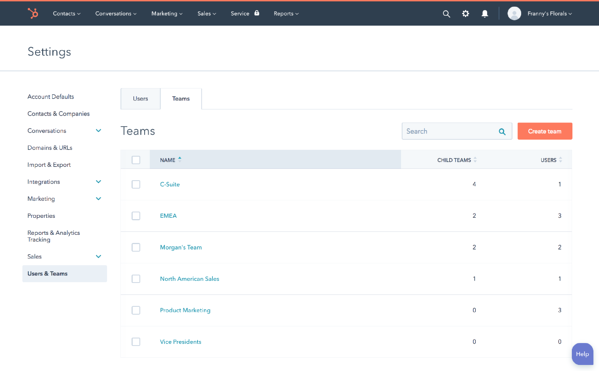 Teams - Organize the users in your HubSpot account on multiple levels based on teams, region, business unit, product line, or any other dimension. Use Teams to control access to tools, limit visibility into your database, and easily segment or roll up custom reports. Teams is available to HubSpot Professional customers (limit of 10 teams) and HubSpot Enterprise customers (limit of 50 teams). Enterprise customers can also configure teams in a hierarchy, up to five layers deep, that matches their organization. Teams is available across all three Enterprise products and is available now. Custom analytics filtering - Create analytics segments by the country of the session, domain, or a specific URL structure. Available now. Additional dashboards - Enterprise customers now have up to 25 custom dashboards and 500 custom reports. Available now. Single sign-on - Enhance the security of your HubSpot account and gain more control over your team’s access by configuring a custom authentication provider. SSO is part of all three Enterprise products and is available now. Custom property search - Unlock data stored in custom properties across your database by making them searchable via HubSpot’s global search bar. Available now. Custom Bots - Deploy useful bots that can assist with simple requests like surfacing relevant help documentation, routing inquiries to the right team, booking appointments, and more. Deploy custom code to handle virtually any type of inquiry. Custom Bots is part of all three Enterprise products and is available now. Slack integration - Keep your team connected to your customers everywhere they go with HubSpot’s native Slack integration. Trigger notifications in Slack based off conditions and triggers using workflows. The Slack integration is part of all three Enterprise products and is available now. Relational imports - Easily import contacts, companies, deals, tickets, and products with relationships across objects. Available in beta. Learn more here. Calculated and rollup properties - Create fields in HubSpot that perform useful calculations and roll up data from other fields, like sales commissions and splits. Available now. Content partitioning - Use Teams to segment content in HubSpot, giving the right users easy and uncluttered access to the content they need. Useful for international marketing teams, teams segmented across divisions, product lines, brands, or other dimensions. Coming soon. Membership-driven content - Restrict content access to internal audiences, paying customers, or other groups of people using HubSpot lists. Coming soon. 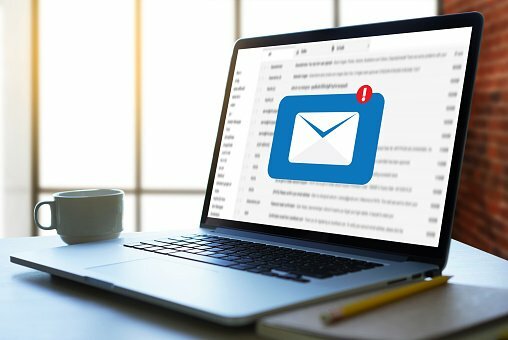 Send frequency cap - Set safeguards to avoid over-emailing your contacts in a given time period. Easily allow high-priority messages to override your safeguards. Coming soon. Continuous optimization - Automatically and continuously test assets like lead flows with a single click, without the need to manually create multiple A/B versions and worry about statistical significance. Coming soon. Enhanced social permissions and approvals - Give certain members of your team the ability to draft posts and move them to a scheduled state for review before they can be published. Coming soon. YouTube integration - View detailed statistics on the performance of video content you've uploaded to YouTube. Available in beta. Predictive lead scoring - Automatically score and rank leads based on their likelihood to close as customers, factoring in hundreds of behavioral, demographic, firmographic, and technology factors. The new predictive lead scoring is 4x more accurate and faster than ever to learn about your customer data. Available now. In addition to these marketing-specific features, Marketing Hub Enterprise includes all the platform features mentioned above. 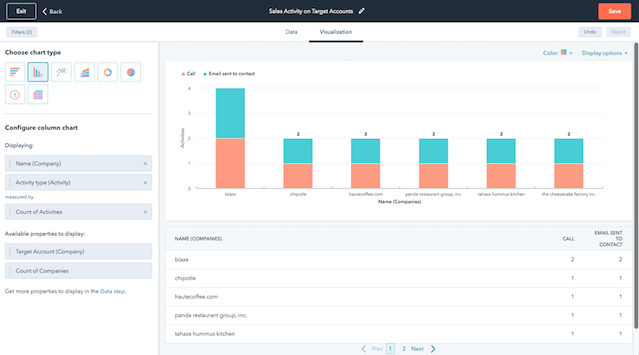 Sales Hub Enterprise gives advanced sales organizations all the CRM and sales acceleration tools they need in a single package — all without making life complicated for you, your team, or your prospects. Playbooks - Build a library of sales best practices and resources. Use rules-based automation to surface recommended content to your sales team, right inside HubSpot. Available now (Sales Hub and Service Hub). eSignature - Collect signatures on quotes and other documents right within HubSpot and speed up your sales process. Available now. certain criteria, like percentage discounts. Available in beta. recorded call right inside your CRM. Available now. Quota management with goals - Goals allows you to measure your sales and service teams' performance on a granular level with period-based quotas and SLAs. Available in beta (Sales Hub and Service Hub). Recurring revenue tracking - Manage recurring revenue and renewals right inside HubSpot with improvements to revenue tracking and reporting. Available now. Relational imports - Easily import data into HubSpot across contacts, companies, and deals with relationships across objects. Available in beta. Calling API - Integrate a third-party telephony provider like Aircall with the communicator in HubSpot — no extensions or plugins needed. Available in beta. in HubSpot across your deals and reporting. Built in handling for exchange rates. Requires Sales Hub Professional or Enterprise, but integrated across Marketing Hub, Sales Hub, and Service Hub. In addition to these sales-specific features, Sales Hub Enterprise includes all the platform-level features mentioned above. As your business and customer base grows, it’s natural for your service team to start to specialize. There might be a dedicated team for support, account management, premium consulting, and more. But as your service team grows, you start to face unique challenges. How do you service a global customer base, how do you ensure security of customer data, and how do you maintain speed and flexibility with many teams in one tool? Service Hub Enterprise is built to grow with your team. As you expand and specialize, the suite offers flexibility, security, and sophistication. New enterprise features - New platform-wide enterprise features like calculated fields, custom bots, and teams help your service team as it starts to specialize, offer new services, and expand globally. Goals - Give individual agents and teams the ability to report on metrics related to a specific customer goal, like response time, ticket volume, resolution time, and customer experience metrics. Available in beta (Sales Hub and Service Hub). Playbooks - Build a library of best practices and resources for your customer service team. 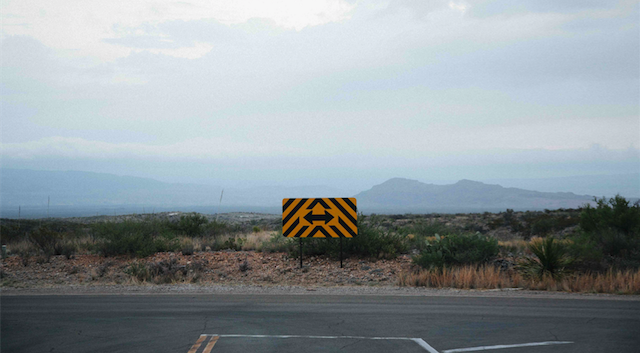 Use rules-based automation to surface recommended content at the right time. Available now (Sales Hub and Service Hub). In addition to these service-specific features, Service Hub Enterprise includes all of the platform-level features mentioned above. Marketing Hub Professional has a number of new features to help you scale up with automation and tailored experiences for all your visitors. Company-based workflows - Run full Account-Based Marketing (ABM) campaigns using company-based workflows. Trigger actions based on the company name within HubSpot CRM, and see who is interacting with your content in reporting. Coming soon. Smart content reporting - Your visitors expect an experience today. So instead of creating a static, impersonal page, show them tailored content, then measure how it’s performing all within HubSpot. Available now. New custom report builder and cross-object reporting - Create custom reports that provide the information you need, when you need it. With the new custom report builder, you can easily create reports on your contact, company, deal, and engagement data, including creating cross-object reports. Available in beta. Conversations is a universal inbox built right into HubSpot CRM. It brings together live chat, team email, and an easy-to-use chatbot builder to help teams communicate with prospects and customers at scale. Start having conversations with your website visitors for free. Learn more about Conversations. We’re surrounded today by personal experiences—from Netflix tailoring movie recommendations, to Amazon tailoring products, to the individualized search results we get on Google. The problem is, when we venture to a company website, it feels impersonal. As marketers, we’ve all sought after personalization — and now it’s finally possible with the first deeply integrated CMS that combines the power of a CRM to power tailored experiences. HubSpot CMS is available now for purchase as a standalone product or combined with any Hub. Reach out to an agency partner to get started with your website redesign, or learn more about HubSpot CMS. Many of the new products and tools mentioned above are available today. If you aren't yet a HubSpot customer or are considering adding to or upgrading your subscription, visit hubspot.com/new. For tools that are available now, you can use them in your HubSpot account today, or learn more about upgrading your subscription to get access. 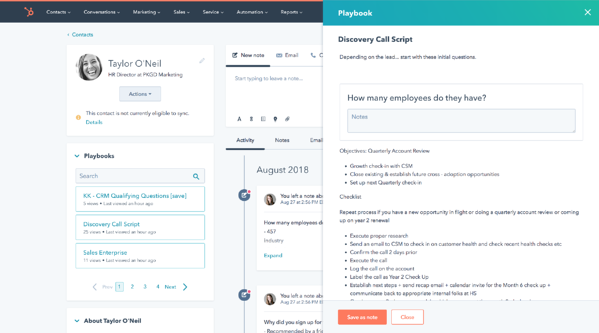 If you haven't already, now is a great time to turn on the new navigation in your HubSpot account, which you'll need to access many of our new features and tools. For items marked as coming soon or in beta, stay tuned to the notification center (the bell icon in the upper-right corner of your HubSpot account) or Product Updates for more details. Questions? If you have questions about any of these new tools, you can ask questions and get involved with the team at HubSpot through the HubSpot Community, where we'll be holding a series of Q&A forums in the coming days.